It's anyone's guess as to how this frightened black dog came to be stranded in the middle of a busy highway in Brazil — but there's no question at all about how she came to be saved. Amid the hurried stream of passing vehicles, the pup had found her hero. 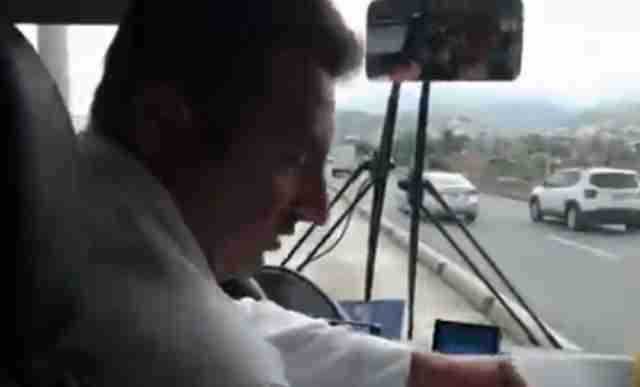 On Thursday, passengers aboard a bus in Rio de Janeiro may have been confused at first when their driver decided to bring the bus to a halt, but they soon realized just why he'd stopped. There, pacing desperately near the center divider, was a trapped dog — and the driver was refusing to ignore her plight. 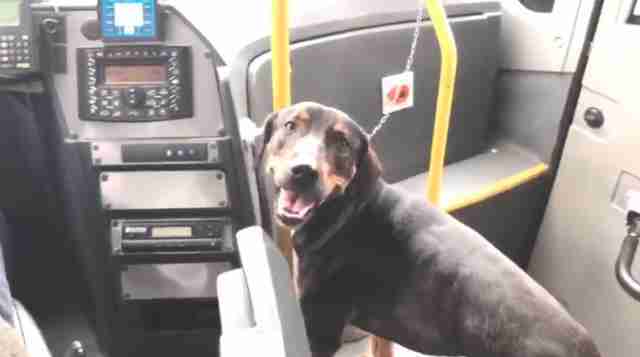 The poor dog had been rescued thanks to the driver's kindness — and she seemed to know she was now safe among friends. Though it's fair to say those aboard the bus had not been accounting for a delay in their commute, none seemed bothered by the unexpected stop. In fact, their reaction was quite the opposite. "Thank you, driver!" one passenger could be heard shouting, while cheers and applause rang out from the rest.